Blading in local TV again! The newest episode of SLIPKLIP video magazine features our flow rider Mateusz Radziszewski (Hedonskate, Infernal). Mateusz spent three days in Poznań filming with Rozpoznani crew. Make sure to check it out! 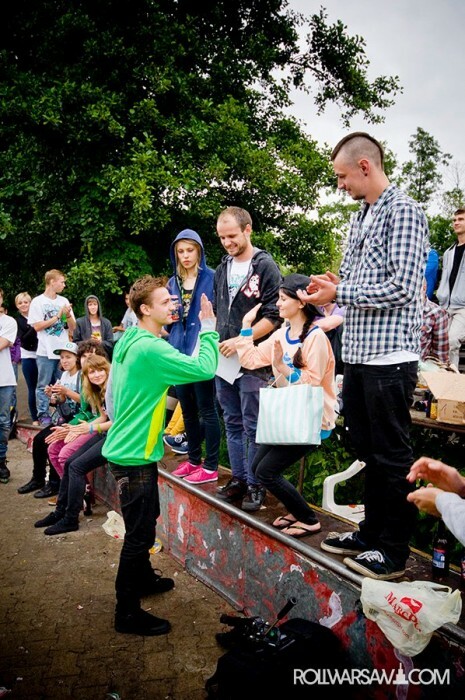 Congrats for Mateusz Radziszewski (Hedonskate, Infernal) for taking the first place during Bugajewo 2011 contest. Here is new edit from our flow rider Mateusz Radziszewski (Hedonskate, Infernal, Dekom). Radzik is skating in new Hedonskate Stretch Jeans which are available now together with summer collection! Hedonskate team in another TV Show! Hedonskate team took part in another TV show – “Ale urwał”. Przemek Górczyk (Hedonskate, Prime), Bartek Górczyk (Hedonskate), Mateusz Radziszewski (Hedonskate, Infernal) showed the best spots around the city and explained what rolleblading is all about! Check the clip! Last weekend the TVN Turbo was shooting an episode of their extreme-sport show in Wroclaw. The newest episode will focus on rollerblading! Our riders were invited to take part during recording. Przemek Górczyk, Bartek Górczyk and Mateusz Radziszewski showed some tricks and explained what aggressive inline is all about. Another great exposure, good job guys! Mateusz Radziszewski (Hedonskate Flow, Infernal) switched to Xsjados few days ago – check the pic from his first session with new blades. Photo was taken by Rafał Saganowski. What`s more, all Xsjado fans will be pleased with the huge selection of replacable parts for these skates which are available now at Hedonskate.com. Straps, cuffs, baseplates, padding in every color!